If you’re a die-hard thrash addict, you’ll have it on constant repeat for many weeks to come. If you love metal, but also value musical risk-taking over traditionalism, you’ll dig Dystopia for a few tracks, then feel an overwhelming urge to move on to something fresh and innovative. 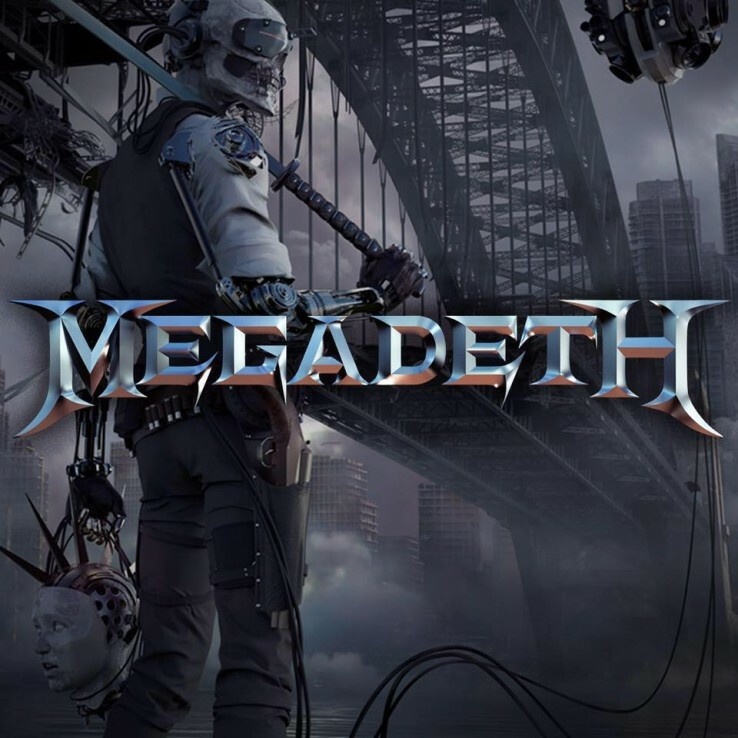 Since this is, after all, a Megadeth album, representing a return to the band’s roots with the addition of fresh blood in the form of guitarist Kiko Loureiro and Lamb Of God drummer Chris Adler, it’s obviously aimed at the first group. Nothing wrong with that; people like what they like, and nobody’s musical taste is more or less valid than anyone else’s. But personally, I fall into the second camp. Dystopia is a great thrash album. The issue for me is that if you’ve heard even a few thrash songs in the past, you’ll already know what to expect. There are no surprises on Dystopia; it’s a heavy as hell montage of brutally hectic riffs, countless pyrotechnic solos, and surgically precise beats. If that’s what you want from an album, then Dystopia and your ears will be a perfect match. It’s all good. That said, when it comes to intelligent lyrics, great songwriting, and pure intent, Dystopia really wins for me. Even if thrash is something you enjoy in moderation, there’s more than enough depth to Dystopia to keep you coming back again and again. The best thing about Dystopia is that it makes you think – and especially today, active, critical, and intelligent thought is more important than ever. The music may divide, but the lyrics should unite.